This really is very good but I think they've misjudged the trailer. This isn't really a gangster thriller or a fighting movie - it is actually a reimagining/reworking of Of Mice and Men. 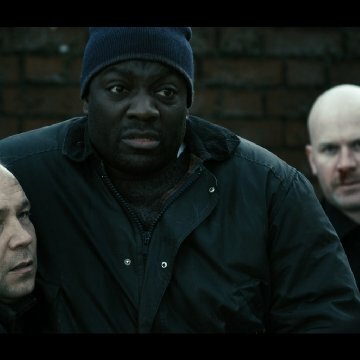 A petty criminal, Danny (Stephen Graham), cares for a giant of a man with learning difficulties, Joseph (Adewale Akinnuoye-Agbaje). 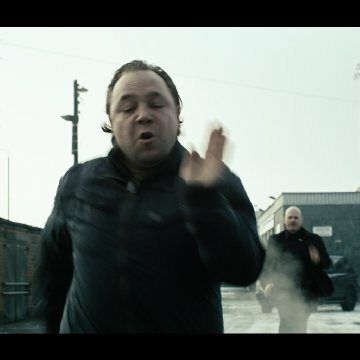 When Danny gets in trouble with a local crime boss he persuades Joseph to take part in a series of illegal cage fights in order to pay off his debt. OK, so far it sounds like a gangster/fighting flick, I grant you, but what has been left out of the trailer is the sub plot about Joseph falling in love with a young woman, also with learning difficulties, played by Maxine Peake. I say 'learning difficulties' as I have no idea what the acceptable terminology is these days. Special needs? Luckily the film is down-to-earth and honest and doesn't pussyfoot around like I am. 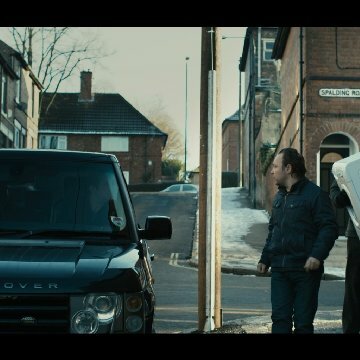 The characters speak as they would in real life, which does result in one very funny line which everyone in the audience laughed at but wouldn't dare repeat outside of the cinema*. The subplot is handled with skill and care. The actors all turn in fine performances, especially Stephen Graham as the quick-witted but ultimately self-destructive central character and Adewale Akinnuoye-Agbaje as the simple giant, Joseph. Their relationship, as you discover more and more about it, it utterly believable and is the central spine of the whole film. It's not a life changer but it is fine piece of work and well worth checking out if you get the chance.